A damp Saturday morning and the CÚL REDZ continued for its 11th straight session. The progress is great to see and fair play to all of the children and coaches involved. This stage of the CÚL REDZ coaching will finish on Satrurday 17th Sept and in the final weeks the coaches will be trying out new drills in order to assess everything learned to date. 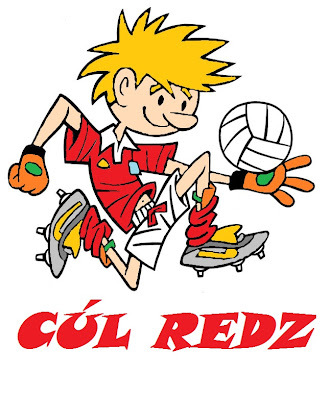 Also with the Credit Union coming on board as the Nursery sponsor we hope to have custom made CÚL REDZ jersey's for the kids so make sure you are sown over the next few weeks!! !